Coach Damion Allen, or known by most as DA, is a DPS graduate from the one and only Manual High School where he played for the living legend of Colorado High School Basketball Rudy Carey. After High School he attended Metropolitan State College and has been coaching at Thomas Jefferson for 10 years. He was the JV head football coach for two seasons, varsity wide receivers coach for two seasons, Track and Field assistant head coach for four seasons and head coach for one. He also spent four seasons as the boys C team basketball coach and three as the JV coach before being named the Head Girls Coach prior to the 2012-13 season. Coach DA is married to Cynthia Allen who was the TJ Swim Coach for 7 years and is presently the counseling records secretary at TJ. He is the father of three TJ Alums, Ivory, Demetrius and Marcus Allen. Coach Zeiler has played basketball for upwards of fourteen years, coached for nearly five years, and generally loved the game for most of her life. She was a three year varsity letter winner playing point guard for Mountain Vista High School, competing in the top league in Colorado (Continental League), and receiving MVP two of those years. Throughout her high school career she attended basketball camps and tournaments across the nation. At Keystone State Camp in Pennsylvania she was selected for the all-star team, was a member of the camp championship team, and was nominated for top point guard of camp. At Eastern Invitational Basketball Camp Caitlyn led her team to another camp championship and was selected for the all-star team. At Five Star Camp she was selected to play in the Orange and White All Star Classic and was a member of the 3v3 championship team. After graduating from Mountain Vista High School in 2008 she had the opportunity to pursue her basketball career at the college level. She was recruited by various schools of all divisions including University of Puget Sound in WA, Lock Haven University in PA, University of Central Florida, and Longwood University in VA. However, she chose to forgo those athletic offers and selected a university that best suited her academic preferences. Caitlyn attended the University of Denver from 2009-2012 where she continued her playing career as a member of the Women’s Club Basketball Team. Her team competed at the University of Denver against co-ed and men’s teams as well as against other universities’ club teams. They traveled to the National Campus Championship Series in 2010 and 2011, winning the series in 2011. Caitlyn graduated from the University of Denver in 2012. 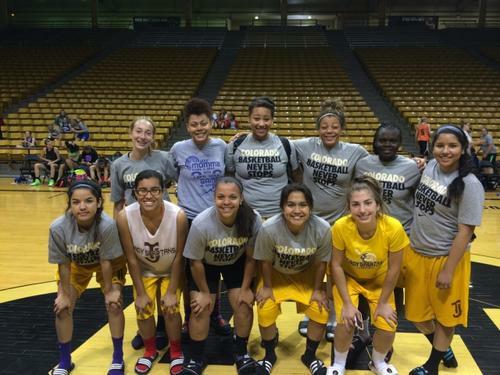 While playing with the University of Denver Women’s Club team, she also became involved in coaching. During the 2009-2010 season she coached the junior high boys and girls basketball teams at Greenlee K-8. In 2010 she began coaching at her alma mater, Mountain Vista High School, as the head Junior Varsity Girls Basketball coach and remained there until 2012 when she joined the staff at TJ. Born and raised in Colorado, Justine Taylor is the proud alumni of Thomas Jefferson High School. Justine was a member of the Lady Spartan’s track and field, softball, and basketball teams. While under the legendary leadership of Varsity Head Coach, Kathryn Kindle, she helped the team clinch the 1993-1994, 5A Girls Basketball City Championship. Upon graduating from TJ, Justine accepted a four year scholarship to Metropolitan State University of Denver. Justine Taylor joined the TJ coaching staff as C-Team head coach in 2012 and enjoys coaching basketball because of the life lessons that can be applied while learning and playing the game. Justine mirrors the coaching style of Kathryn Kindle, focusing on educating, encouraging, and nurturing the student athlete. Justine takes great pride in preparing her young ladies for the future levels of junior varsity and varsity basketball. Justine Taylor currently works in health care, participates as an executive board member, and is the devoted mother of three children; Jalen, Justice, and Jade. Justine enjoys attending her children’s sporting and extracurricular activities, golfing, reading, traveling, volunteering, church activities, and spending time with family and friends. Assistant Varsity Coach, Kathryn Kindle, came to Thomas Jefferson High School in 1985 after serving as head track coach at South High School and head track and assistant basketball coach at Montbello High School. Coach Kindle played high school basketball at St. Peter’s Catholic School and at AM&N/University of Pine Bluff in Pine Bluff, Arkansas and played on a traveling softball AAU team. Coach Kindle earned a Bachelor of Science Degree in Sociology and Bachelor of Arts (secondary) from University of Arkansas, then later earned a masters degree in Education Leadership from University of Northern Colorado. She contined her education, taking classes at Colorado School of Mines, University of Denver, and Metropolitan State University. 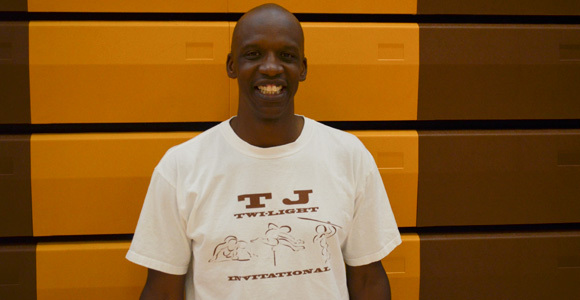 While at Thomas Jefferson, Coach Kindle taught social studies and was the head girls basketball coach for 20 years, track for 17 years, and softball for five years. As head basketball coach, Kindle received numerous accolades, including being chosen as the South All State Team coach and winning the 5A Girls Basketball City Championship. Coach Kindle coached student athletes who continued on to play at the DI, DII, DIIII, and Junior College level. Coach Kindle’s top priority is education and while head coach, her teams never earned less than an overall 3.0 GPA. She takes great pride in establishing peer-tutoring sessions and preparing Thomas Jefferson students for their future. 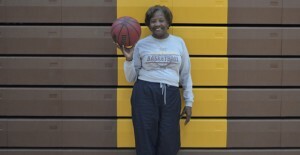 After retiring from Denver Public Schools, Coach Kindle was recruited to assist the Lady Spartan’s basketball team and in 2010, she returned to her favorite past time, coaching. Coach Kindle is the mother of seven, 5 boys and 2 girls, having five living children. Five graduated from Denver Public Schools and one from St. Peter’s Catholic School in Arkansas. She enjoys reading, traveling, spending time with her six sisters, family time, being involved in her church, dancing, music, exploring other cultures, black history, art, problem solving, and of course basketball. When Coach Kindle isn’t coaching basketball she spends her retirement days at her second home in Anguilla, BWI.